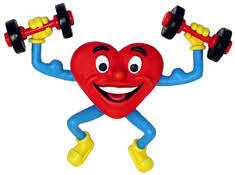 Regular Exercise Keeps Your Arteries Healthy…. It is known that high sugar and high cholesterol in the blood spell trouble. Any diabetics almost always has high blood pressure or high cholesterol problem. Therefore, we aggressively treat their sugars, blood pressure and cholesterol hoping to lower their risk to suffer from a stroke and heart attack. Most often, doctors tend to forget to remind patients to be more physically active. Some patients also feel so comfortable that they are already on medications that they dont need to watch out what they eat or do. Now comes a new study presented at the Annual Meeting of the American College of Sports Medicine that looked at the value of regular physical activity among patients already on aggressive lowering of sugar and cholesterol and see if regular exercise contributes further to preventing heart disease. This is so far the first study to document that if one exercise reglarly at least 30 minutes like walking, further reduction in ones risk to heart disease progression can be seen. When pulse wave activity was measured after 2-5 years, those that exercise less or not at all, had a 14% increase in pulse wave activity suggesting more arterial stiffness. The study confirms that progression of atherosclerosis or blockage of blood vessels can be sloweddown or halted by adding physical activity to the usual medications we give to lower sugar and cholesterol. if you’re pregnant…go out and exercise…. Take care of your body…its the only one you have! Calcium Supplements May Not Be That Safe After All…. It has always been my practice to make sure women take their daily calcium supplements to prevent osteoporosis. It is my contention that by building bone the right way and preventing a fracture is very important health issue. It is recommended by diffirent medical societies that calcium supplements be given between 1000- 1200 mg per day. Now comes a new study showing proofs that calcium supplements may not be that safe after all. A study published in BMJ in JUly 2010 with a reanalysis done in 2011 showed that calcium supplementation should be reviewed due to inherent harm. To investigate whether calcium supplements increase the risk of cardiovascular events. Patient level and trial level meta-analyses. Medline, Embase, and Cochrane Central Register of Controlled Trials (1966-March 2010), reference lists of meta-analyses of calcium supplements, and two clinical trial registries. Initial searches were carried out in November 2007, with electronic database searches repeated in March 2010. Eligible studies were randomised, placebo controlled trials of calcium supplements (>or=500 mg/day), with 100 or more participants of mean age more than 40 years and study duration more than one year. The lead authors of eligible trials supplied data. Cardiovascular outcomes were obtained from self reports, hospital admissions, and death certificates. 15 trials were eligible for inclusion, five with patient level data (8151 participants, median follow-up 3.6 years, interquartile range 2.7-4.3 years) and 11 with trial level data (11 921 participants, mean duration 4.0 years). In the five studies contributing patient level data, 143 people allocated to calcium had a myocardial infarction compared with 111 allocated to placebo (hazard ratio 1.31, 95% confidence interval 1.02 to 1.67, P=0.035). Non-significant increases occurred in the incidence of stroke (1.20, 0.96 to 1.50, P=0.11), the composite end point of myocardial infarction, stroke, or sudden death (1.18, 1.00 to 1.39, P=0.057), and death (1.09, 0.96 to 1.23, P=0.18). The meta-analysis of trial level data showed similar results: 296 people had a myocardial infarction (166 allocated to calcium, 130 to placebo), with an increased incidence of myocardial infarction in those allocated to calcium (pooled relative risk 1.27, 95% confidence interval 1.01 to 1.59, P=0.038). Calcium supplements (without coadministered vitamin D) are associated with an increased risk of myocardial infarction. As calcium supplements are widely used these modest increases in risk of cardiovascular disease might translate into a large burden of disease in the population. A reassessment of the role of calcium supplements in the management of osteoporosis is warranted. The reanalysis of this study done recently and published in the same journal showed that the risk of MI is actualy MODEST at best around 20% for MI and 30% for stroke BUT… considering the huge number of women doctors have been recommending to take calcium supplements… justify a further close look at this practice as this will have enormous impact on health care risk. For the past year…I have not been recommending calcium supplements to my patients especially my diabetic hypertensive patients. I make sure that my dietitian supplements their diet with enough calcium sources from food and milk. If need be, those patients who cant take enough from food are the ones given the supplements but this number is becoming less each day. If you are taking calcium supplements on your own , my recommendation is to stop. If you are taking the supplements as part of your osteoporosis program then talk to your doctor first before stopping. Tylenol and Hypertension: Is There A Link? It has always been my notion that tylenol is the safest of all pain relievers. Most patinets of mine are advised to take acetaminophen instead of NSAIDS especially if they have arthritis and have concomitant heart disease or kidney problem. We all know about the Viox controversy when it was pulled out due to cardiovascular safety. Now comes a recent report from the Harvard Health Beat regarding a Swiss study that showed taking acetaminophen better known for the brand Tylenol, can actually cause an elevation of Blood pressure. When the participants took acetaminophen, average systolic blood pressure (the top number of a blood pressure reading) increased from 122.4 to 125.3, while the average diastolic pressure (the bottom number) increased from 73.2 to 75.4. Blood pressure stayed steady when participants took the placebo. These increases aren’t large. But they indicate that acetaminophen, like NSAIDs, somehow affects the cardiovascular system. Acetaminophen indeed is a safe alternative to the pain killers known as NSAIDs becuase it is safe to the stomach and avoid gastric irritation. It is also a better alternative especially to patients taking anticoagulants or drugs to prevent blood clots because it does not interfere with their actions nor further increase bleeding tendencies. However… people should be extra careful with this new information and therefore should not take acetaminophen lightly. Meaning, one should also be cautious in taking acetaminophen with a slight onset of headache especially among patients with concomitant cardiovascular disease. No matter how safe a drug is perceived to be… along the way comes an alternative that will always be safer… or the other way around. It is best that we be kept informed because we may be taking drugs that may instead cause harm than good. It is therefore always worth having a periodic visits to your family doctor. One major aspect in controlling ones BP is to lower salt intake. Salt basically increases the reaction of the blood vessels to contrict or “close” – raise your BP then increase the pressure of the heart in pumping blood out of the circulation which in the long term cause heart failure or heart enlargement. As a precaution, we always warn patients from enjoying too much salt. Now comes an interesting study published in Circulation in June 2010 looking at another aspect of food that we know should be avoided if one has high sugar…but now is known to affect and lower ones BP also. BACKGROUND: Increased consumption of sugar-sweetened beverages (SSBs) has been associated with an elevated risk of obesity, metabolic syndrome, and type II diabetes mellitus. However, the effects of SSB consumption on blood pressure (BP) are uncertain. The objective of this study was to determine the relationship between changes in SSB consumption and changes in BP among adults. METHODS AND RESULTS: This was a prospective analysis of 810 adults who participated in the PREMIER Study (an 18-month behavioral intervention trial). BP and dietary intake (by two 24-hour recalls) were measured at baseline and at 6 and 18 months. Mixed-effects models were applied to estimate the changes in BP in responding to changes in SSB consumption. At baseline, mean SSB intake was 0.9+/-1.0 servings per day (10.5+/-11.9 fl oz/d), and mean systolic BP/diastolic BP was 134.9+/-9.6/84.8+/-4.2 mm Hg. After potential confounders were controlled for, a reduction in SSB of 1 serving per day was associated with a 1.8-mm Hg (95% confidence interval, 1.2 to 2.4) reduction in systolic BP and 1.1-mm Hg (95% confidence interval, 0.7 to 1.4) reduction in diastolic BP over 18 months. After additional adjustment for weight change over the same period, a reduction in SSB intake was still significantly associated with reductions in systolic and diastolic BPs (P<0.05). Reduced intake of sugars was also significantly associated with reduced BP. No association was found for diet beverage consumption or caffeine intake and BP. These findings suggest that sugars may be the nutrients that contribute to the observed association between SSB and BP. CONCLUSIONS: Reduced consumption of SSB and sugars was significantly associated with reduced BP. Reducing SSB and sugar consumption may be an important dietary strategy to lower BP. That of the >800 adults in the study: that drinking one less sugar-sweetened beverage a day resulted in the lowering of both systolic and diastolic BP by about 1.2 mm Hg and 1.1 mm Hg over 18 months period of observation. I am actually not surprised by this relationship. We all know, anytime a patient has high BP, I always make sure he is not at risk to become diabetic with high cholesterol since the three always come in groups and are always partners in crime. So controlling for one may result in the improvement of the other. So any dietary intevention that I do for my patients incorporate for the control of the three conditions. Remember: For every 3-mm-Hg reduction in systolic BP : the risk of dying from stroke is reduced by 8% and the risk of dying for heart disease is redcued by 5%. So any small amount of decrement is worth it! There you go guys: another reason to cut down on SUGAR! Just came across this wonderful wonderful article in Harvard HealthBeat News Letter that I want to share. They are practical steps yet very true to every word. Worth meditating and taken seriously… and true to its mission…A Healthy Heart! Dont Worry…Be Healthy and Be Happy! Sleep Well To Prevent High Blood Pressure!!! A simple measure to reduce BP is to have a good night’s sleep!!! BACKGROUND: Epidemiological studies have reported an association between self-reported short sleep duration and high blood pressure (BP). Our objective was to examine both cross-sectional and longitudinal associations between objectively measured sleep and BP. METHODS: This study is ancillary to the Coronary Artery Risk Development in Young Adults (CARDIA) cohort study. Blood pressure was measured in 2000 and 2001 and in 2005 and 2006. Sleep was measured twice using wrist actigraphy for 3 consecutive days between 2003 and 2005. Sleep duration and sleep maintenance (a component of sleep quality) were calculated. Analyses included 578 African Americans and whites aged 33 to 45 years at baseline. Outcome measures were systolic BP (SBP) and diastolic BP (DBP) levels, 5-year change in BP, and incident hypertension. shorter sleep duration and lower sleep maintenance predicted significantly higher SBP and DBP levels cross-sectionally as well as more adverse changes in SBP and DBP levels over 5 years (all P < .05). Short sleep duration also predicted significantly increased odds of incident hypertension (odds ratio, 1.37; 95% confidence interval, 1.05-1.78). Adjustment for 16 additional covariates, including snoring and daytime sleepiness, slightly attenuated the associations between sleep and BP. CONCLUSION: Reduced sleep duration and consolidation predicted higher BP levels and adverse changes in BP, suggesting the need for studies to investigate whether interventions to optimize sleep may reduce BP. There you go guys… nake sure you sleep better..and rest well. Dont let worries or pressure bother you too much. Associate the bed with a good night’s sleep… not only will you feel refreshed the next day BUT healthier too! For a Healthier Heart… Sleep Well!!! Just a note for all of the readers with family members who are diabetics. This is just to make you aware that control of sugar is of paramount importance even at the time of hospitalization especially due to heart attack. This new study published in Archives of Internal Medicine, Feb 2009 shows that the relationship between fasting blood sugar on admission and its ability to predict outcome of death within 6 months of the acute attack. Background Elevated blood glucose level at admission is associated with worse outcome after a myocardial infarction. The impact of elevated glucose level, particularly fasting glucose, is less certain in non–ST-segment elevation acute coronary syndromes. We studied the relationship between elevated fasting blood glucose levels and outcome across the spectrum of ST-segment elevation and non–ST-segment elevation acute coronary syndromes in a large multicenter population broadly representative of clinical practice. Methods Fasting glucose levels were available for 13 526 patients in the Global Registry of Acute Coronary Events. A multivariate logistic regression analysis was used for assessing the association between admission or fasting glucose level and in-hospital or 6-month outcome, adjusted for the variables from the registry risk scores. Higher fasting glucose levels were associated with a graded increase in the risk of in-hospital death (odds ratios [95% confidence intervals] vs <100 mg/dL: 1.51 [1.12-2.04] for 100-125 mg/dL, 2.20 [1.64-2.60] for 126-199 mg/dL, 5.11 [3.52-7.43] for 200-299 mg/dL, and 8.00 [4.76-13.5] for 300 mg/dL). When taken as a continuous variable, higher fasting glucose level was related to a higher probability of in-hospital death, without detectable threshold and irrespective of whether patients had a history of diabetes mellitus. Higher fasting glucose levels were found to be associated with a higher risk of postdischarge death up to 6 months. The risk of postdischarge death at 6 months was significantly higher with fasting glucose levels between 126 and 199 mg/dL (1.71 [1.25-2.34]) and 300 mg/dL or greater (2.93 [1.33-6.43]), but not within the 200- to 299-mg/dL range (1.08 [0.60-1.95]). Conclusions Short-term and 6-month mortality was increased significantly with higher fasting glucose levels in patients across the spectrum of acute coronary syndromes, thus extending this relation to patients with non–ST-segment elevation myocardial infarction. The relation between fasting glucose level and risk of adverse short-term outcomes is graded across different glucose levels with no detectable threshold for diabetic or nondiabetic patients. Better still…. across the spectrum of diabetes management that good control should always be practiced. No ifs or buts…its the RULE! Reduction in short term complications, the sense of well being…plus reduction of long term complications like stroke and heart attack…are more than enough for any diabetic in the family to make sure that good control should always be practiced. Ths study tells us that up to the time of the acute event, high sugar continues to present itself as a menace. And that high sugar should not be relegated as a mere stress effect but for me should be aggressively treateed as metabolic effects can have lasting impact on ones health and are irreversible! Be aggressive as high sugar may not manifest any symptoms until its late! How To Check Your Blood Pressure At Home…. High blood pressure is now a common ailment that we hear among our friends. The way we live our lives, the genes and our lifestyle contribute sugnoificantly to increasing this risk. Almost always, doctors require patienhts to monitor their blood pressure at home however, majority do it wrongly or make use of wrong machines to record their BP. Your blood pressure changes from hour to hour, sometimes even minute to minute. Standing up, watching an exciting sports event, eating a meal, even the time of day influence your blood pressure. It jumps around so much that you are more likely to get a “normal” reading if you check it at home rather than in the doctor’s office. There are two things to do before you start. First, check your machine against the one in your doctor’s office. Second, make sure you have the right size cuff — the inflatable part should encircle at least 80% of your upper arm. Push your sleeves out of the way and wrap the cuff over bare skin. Measure your blood pressure according to the machine’s instructions. Leave the deflated cuff in place, wait a minute, then take a second reading. If the readings are close, average them. If not, repeat again and average the three readings. Don’t panic if a reading is high. Relax for a few minutes and try again. Simple tips that can go a long way in ensuring good control of BP. Remember, the doctor can only help in advising what type of drug is best for you. Then the remaining half of the job is done by you… making sure you eat the right food, the right amount of salt and getting the right amount of “stress”. By making it a habit to check your blood pressure may not help “cure the disease” as 99% of hypertension has no identifiable cause, BUT it will help ensure a smooth control of BP during the day to day activity that you do. As a result, you can be assure that the simple measures that you do are being done to help prevent complications including heart attack and stroke. Keep Your BP in Control! Sleep and High Blood Pressure… Check Your Kids! I just came across a new study that showed poor sleep is affecting a lot of our teens these days. Its either they have problems falling asleep or problems waking up early or just plain LACK of Sleep for whatever reason. This study involved around 200 adolescents between ages 13-16 was recently published in the Journal Circulation August issue and is really an eye opener for parents with kids… by making sure that their kids follow a sleep habit that is healthy. The kids with sleep inefficiency meaning they have trouble falling asleep or wake early and those with poor sleep (6.5 hours or less) had systolic blood-pressure levels that were higher than their peers on average 4 mm Hg. This problem of hypertension may result in long lasting complications and development of end organ damage involving the heart, kidneys and eyes among our kids at an early age. Fortunately this is one risk of hypertension that is MODIFIABLE. What then can be modified to afford better sleep habit among our teens? Limit Home Internet Use. Only for school work and no to games during school days! Overexcitement results in being hyperactive due to adrenaline rush and this limits sleep quality. A Good Study Habit to avoid cramming. This should have been trained as early as preschool! A Better Adjusted Kid Is A Healthy Kid! Aspirin has been touted a miracle drug because of its health benefits in protecting high risk patients like our diabetics from heart attack and stroke. The combination of illnesses including diabetes , hypertension and cholesterol increases a patients risk for stroke and heart attack. The subjects were randomized into three groups: lifestyle modification only, lifestyle modification plus aspirin 100 mg every morning, or lifestyle modification and aspirin 100 mg taken at bedtime. They underwent continuous blood pressure monitoring for 48 hours at baseline and after 3 months of intervention. Ambulatory blood pressure was unchanged in the nonpharmacologic group and in the morning aspirin group, but the nighttime aspirin administration resulted in a mean decrease of 5.4 mm Hg in systolic blood pressure and 3.4 mm Hg in diastolic blood pressure compared to baseline values, without any change in heart rate or physical activity. Reductions in blood pressure were similar for both day and night. This study will somehow affect the way we give aspirin. In clinical practice, it really doesnt matter when aspirin is taken as long as patients are taking it eveyday. But with this recent outcome…might as well give them at night until this study will be proven otherwise…. And as always…we continue to emphasize a low salt diet and more physical activity on top of medications to help curb the rising prevalence of complications arising from hypertension. Another Wonderful News on Aspirin and Health!